Most of the time you probably avoid thinking about your septic system. And most of the time, this approach works: the system conveniently handles some of the most unappealing realities of modern plumbing almost completely out of sight. But septic system issues can be devastating for any property owner. Unlike comparable water damage, septic damage can make properties unlivable due to the waste’s hazardous nature. Routine septic system inspections can significantly decrease the risk of catastrophic damage. However, property owners should also be able to identify the signs of septic system issues so problems can be handled promptly. In this blog, we list eight warning signs that your system needs repairs. If your septic tank is full or damaged, it may no longer accept waste as it should. If your toilets back up when they aren’t obstructed, the problem could originate at the septic tank. Similarly, sewage can back up into sinks, tubs, showers, and floor drains if the septic tank is experiencing issues. No septic system lasts forever. Like all the other appliances on your property, your tank will eventually need to be replaced. If your tank is 20 years old or older, anticipate needing repairs, if not complete replacement. If you don’t know the age of your tank, schedule an inspection. This assessment can give you information about what to expect from the tank’s performance during the next few years. 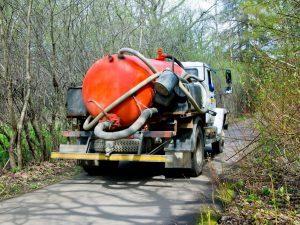 If groundwater near your property or a well on your property becomes contaminated, there’s a good chance that a faulty septic system is to blame. This type of contamination means that wastewater is seeping out of the tank. Obviously, contaminated water should not be used, especially for cooking or drinking. 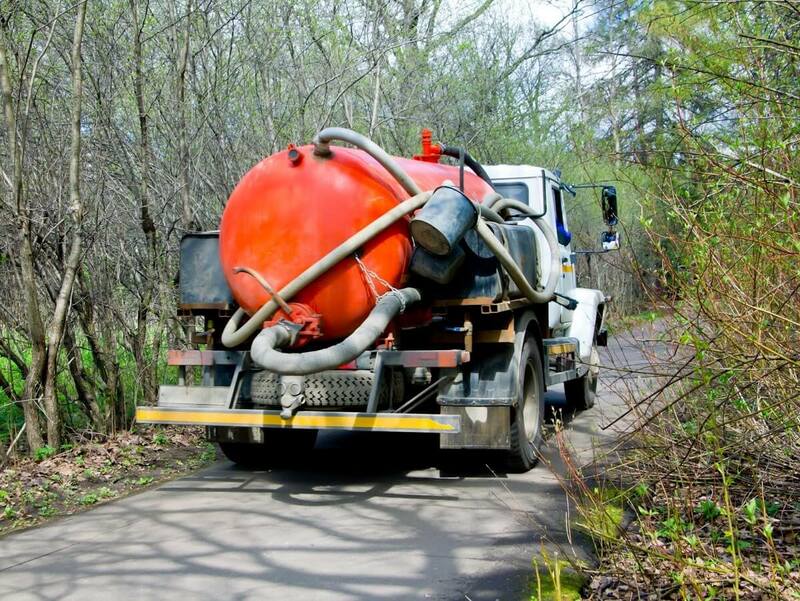 You may need to take decontamination measures in addition to performing septic system repairs. Septic system experts recommend scheduling a service at least once every two years. If it’s been two years or significantly longer since your last service, your tank is at a higher risk of developing problems. Schedule routine inspections and pumping to keep your tank operating properly. If a septic system is full or clogged, the wastewater may not stay below ground. Instead, the water may rise and create visible puddles in your landscaping. Multiple puddles or sunken patches in a single area of your yard are cause for serious concern and should be addressed immediately. Most septic system issues are easy to identify because they manifest with a foul odor right from the start. If you notice strong septic odors in your yard or near your drains, schedule a service. Septic odors may smell like human waste, rotten eggs, or unpleasant mustiness. If your septic tank develops issues, you may notice problems throughout your plumbing system. Slowed drains can occur for a number of reasons, including localized clogs. However, if you notice a change in the way all your drains are functioning, the cause likely lies with your septic system. If the health of your lawn changes dramatically, the shift could indicate a septic system problem. Septic issues are particularly likely if you notice a specific patch of your lawn has suddenly begun to thrive or has completely died. Either of these lawn-health changes can happen when wastewater becomes concentrated under a single patch of grass, altering the soil nutrients and water amount. If you notice any combination of the warning signs listed above, contact Abbott’s Construction Services, Inc. We handle most types of septic system issues, including septic tank repairs and replacement and drain-field work. Don’t wait for a septic issue to jeopardize your home or put you out of business. If you see the warning signs of septic system damage, schedule an emergency site evaluation as soon as possible.